Enjoy a tender and restful stay at Mohali with Hotel Shivjot, convenient for various travelers. The hotel has a modern and simple outlook with glass outdoors. 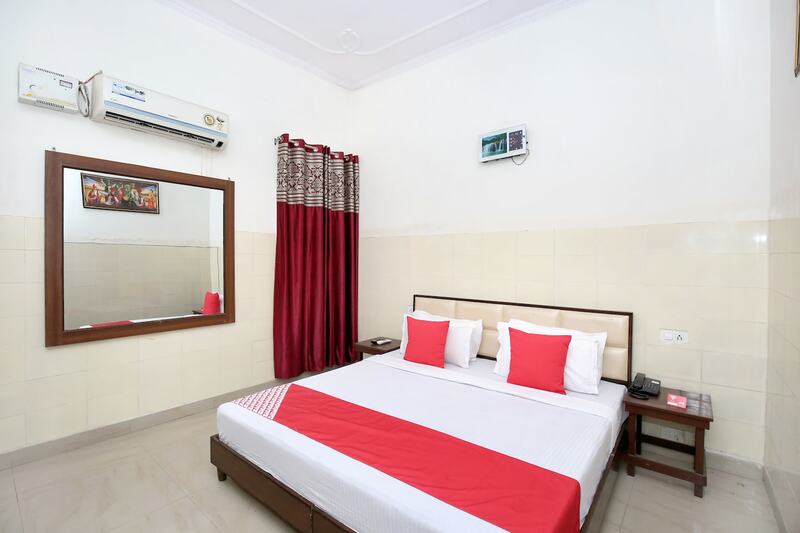 The uniquely designed rooms are spacious with well-furnished modern interiors, making it cozy. The minimal finishing of the room with a simple ceiling and lighting keeps the room well-lit. Guest can avail the free Wi-Fi facility to connect with social media or catch up with work. Other facilities at the hotel include power backup, CCTV cameras and parking space. The kitchen is available for guests convenience and serves fine local taste. The seating area is warm and comfortable for guests gatherings.